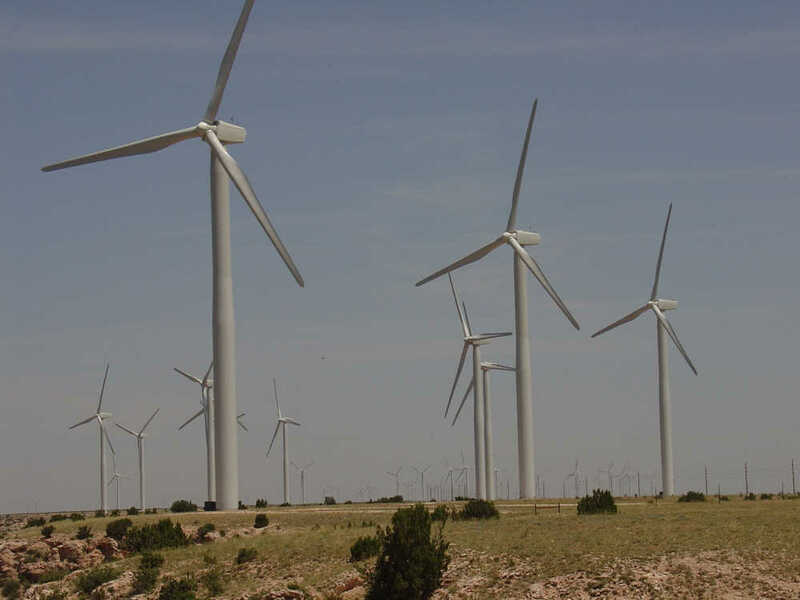 It is estimated that there are over 53,000 wind turbines in the US. With that many in operation, it is inevitable that some will fail, sometimes catastrophically. When that happens, it is necessary to carefully examine the tower to make sure it is structurally sound. 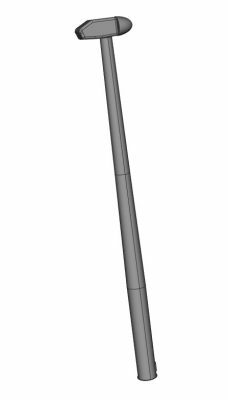 To determine if a tower is bent, an as-designed reference model of the tower is created. This can be reverse-engineered from the 3D scan or created using exact specifications from the manufacturer. The wind turbine 3d scan is then compared to the reference model. 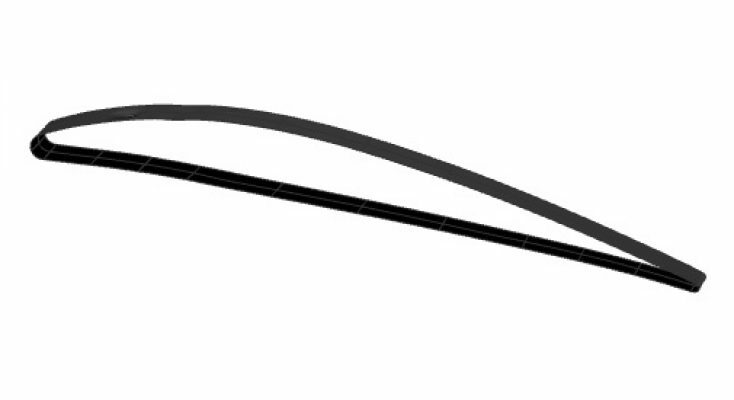 The difference between the two is depicted in a deviation image showing the location of any bends and the degree of deflection. If the turbine has a catastrophic failure, it is likely that the tower was impacted by blades at one or more locations. In order for engineers to evaluate the impact of the dents on the structural soundness of the tower, they need to know the precise shape and depth of the dents. 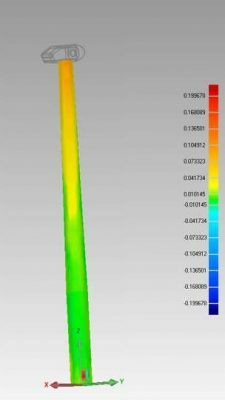 Wind turbine 3D scanning can capture this information safely from ground level. 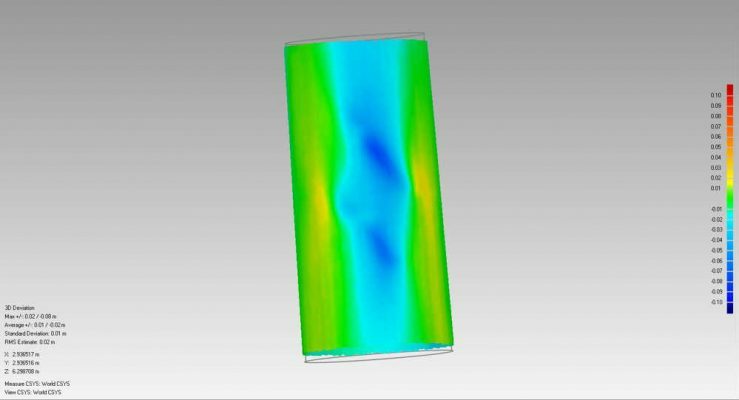 We can scan sections of turbine blades. These can be provided as 2D DXF/DWG line drawings, 3D IGS curves, 3D solid NURBS models, or 3D parametric models. We scan wind turbines of all sizes. It takes about a day to scan a large wind turbine.